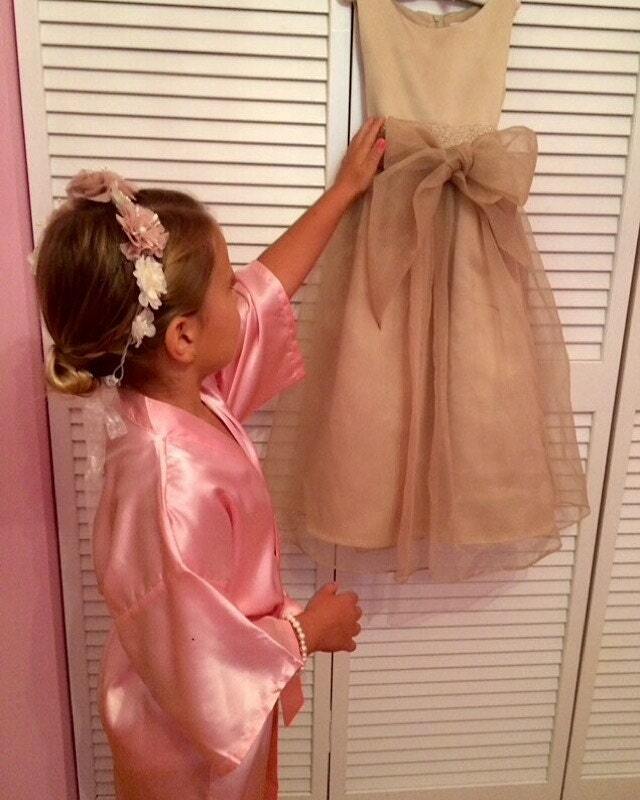 This Listing includes Mini Solid Satin Like Robe(s) with Custom Embroidery. 1. 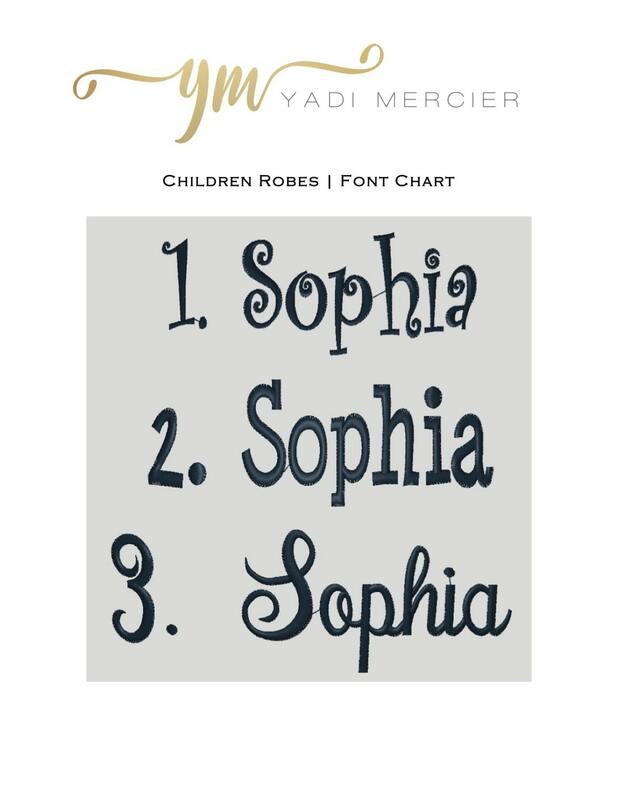 Name(s), Monogram(s), Letter, Title(s) or Initial(s)s. This MUST BE IN THE EXACT ORDER you want to see it Embroidered. 7. Need By Date | please do not write asap in your notes. An actual date works best. Please choose this option if you do not want the robe to be embroidered. 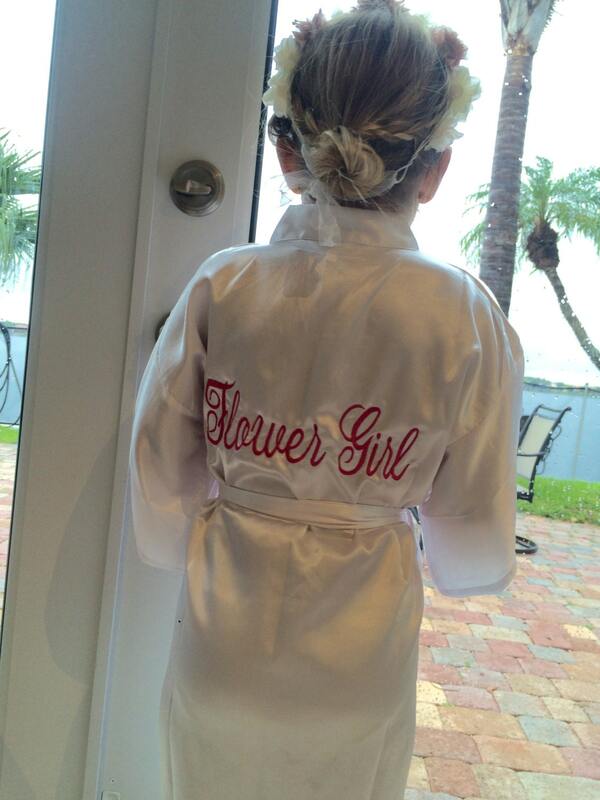 The robe will include a Custom Kraft Tag that can read Flower Girl, Junior Bridesmaid OR you can choose a Blank Tag. 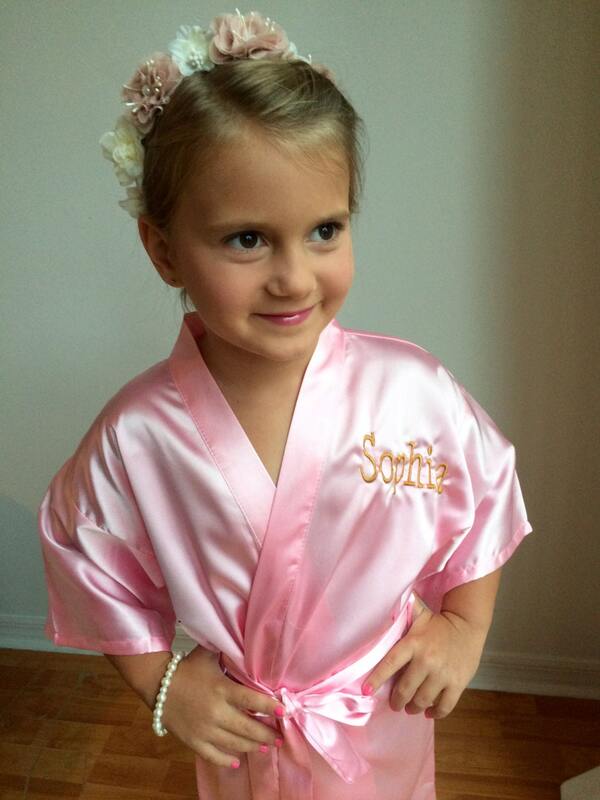 The Mini Satin Robes come in White, Baby Pink and Dusty Rose. These are the only three colors available in the Mini Satin Robe. 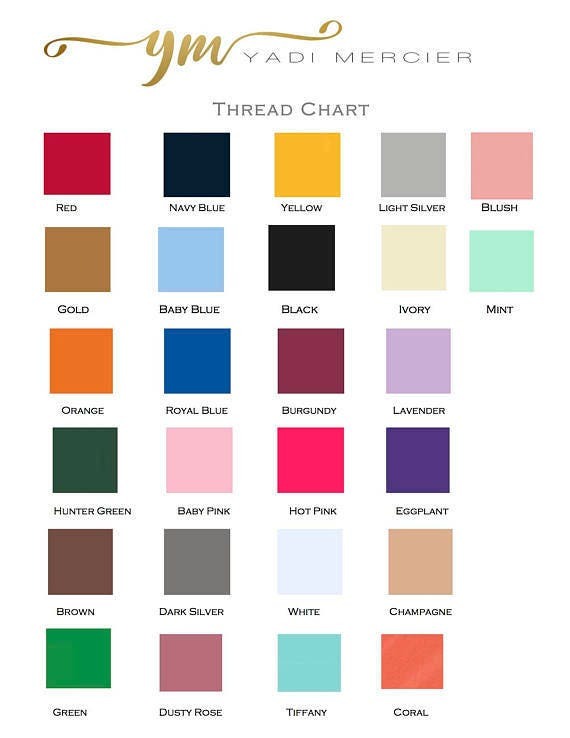 Thread Colors and Embroidery Styles/Fonts can be found in the Pictures above. Please click on all the pictures above. The Mini Solid Satin Like Robe are Machine Wash and Dryer Friendly. Please use a steamer to remove the creases and wrinkles just like you would when you buy a blouse or dress at a department store that needs to be steamed. I now carry the Mini Floral Robes too! They come in the Floral White and Floral Baby Pink Fabric, and in two different sizes. Small for ages 2 to 6 and Large for ages 7 to 11. By Purchasing this Listing you Acknowledge that you have Read and Understand this Listing and the Shop Policies. All Sales are Final. We do not accept returns or exchanges but of you have a problem with your order please let me know.